Something that resurfaced a few years back was my confession to my husband that I had a porcelain unicorn collection growing up. We’ve been a couple for about 12 years now and my magical creature collection somehow was kept a secret. Well, just as my secret has been discovered, I’m happy to see that unicorns have made a comeback in fashion and décor. 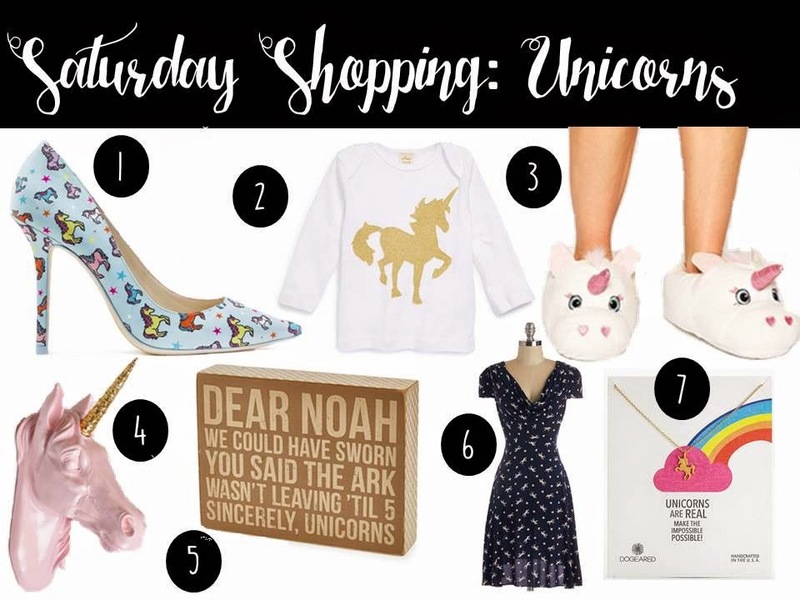 Here’s a round-up of magical unicorn finds!